The seemingly endless program schedule offers exhibitions, installations, trade shows, talks, launches, open studios and receptions all across the city to celebrate the efforts of everyone from students to stars of the local and international design community. 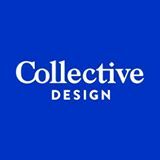 Events will cover topics from graphic design to architecture, technology and urbanism to fashion and product design, interiors to landscape, furniture to design thinking and more. 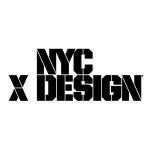 NYCxDesign OFFICIAL SITE : Get info and search for events by date, type, neighborhood and more. Many of the week’s hundreds of design events and in-store showcases will be serving up beer, wine or cocktails as well as snacks, treats, gifts and (well-designed) goodie bags. See event sites for times, locations and other info. Though some events are invite-only or trade-only, many are free and open to the public; some require tickets, registration or RSVP, so check in advance. Follow @nycxdesign on Instagram to get your mind on design. 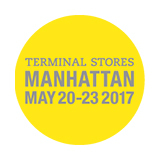 May 21-24; Javits Center, 11th Avenue at 38th Street, NYC; Free to the trade; public day ($60) is May 24. See site for events, times and other info. 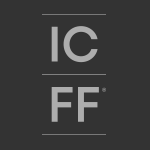 The 29th annual International Contemporary Furniture Fair (ICFF) is a huge international showcase–the largest in its 29 years–for the best and what’s next in global contemporary design; it happens at the Jacob K. Javits Convention Center. Expect an epic exhibition of up-to-the-moment offerings from over 750 exhibitors as well as a packed schedule of fun, enlightening and inspirational programs, exhibits and features. 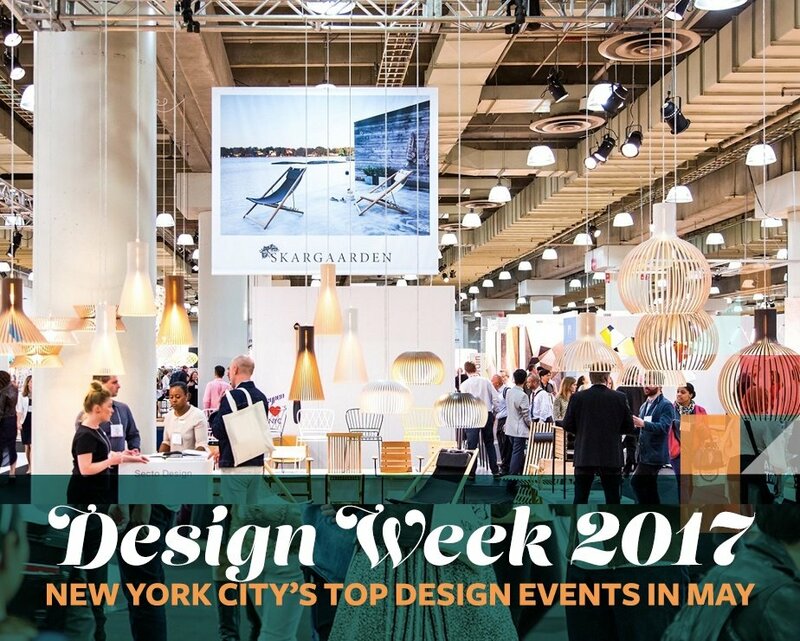 Design innovators from all over the globe will display contemporary furniture, seating, flooring, lighting, materials, wall coverings, accessories, textiles, and kitchen and bath items for residential and commercial interiors. Founded in New York City in 2011 by Odile Hainaut and Claire Pijoulat, WantedDesign has established itself as a constant supporter of US and international design via events, conversations, and partners; its annual programming during NYCxDesign aims to nurture New York City’s design dialogue through a fascinating mix of designers, brands, discussions, celebrations, pop-up shops and much more. This fair now attracts some big design brands like Ligne Rosset and Rolf Benz, but there’s plenty of the new, too. WantedDesign Seaport District stores: WantedDesign is opening two stores in the Seaport District, one selling furniture, lighting and fashion (there’s also a coffee lounge); the other, accessories, jewelry and children’s items. 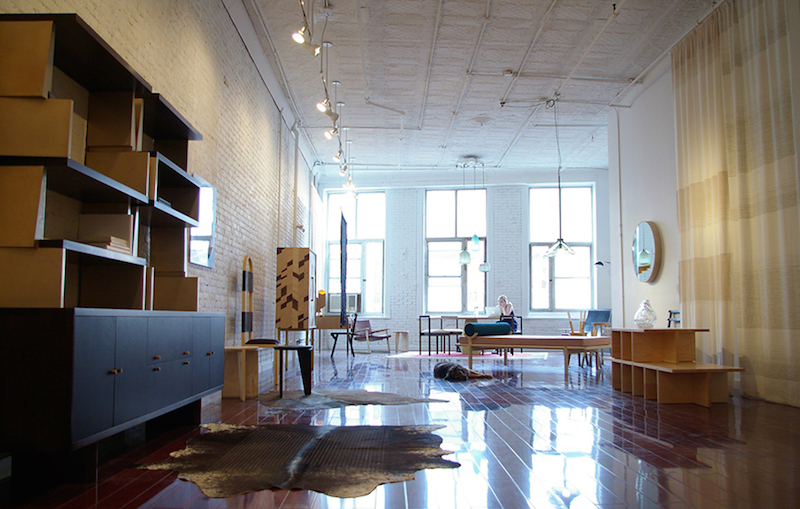 WantedDesign Brooklyn will definitely be one of the must-see design destinations during NYCxDESIGN. The Industry City venue in the Sunset Park neighborhood (home to some of the city’s most innovative new creative industries), is a unique setting for discovering large-scale thought-provoking multi-disciplinary design installations. This fair also takes a great deal of pride in the borough’s–and the neighborhood’s–reputation for nurturing creativity and gives visitors a rare opportunity to be inspired by it. Discussion: How I made my way. A group of five prestigious design professionals will discuss their personal paths to success. Mos(kit)o by ENSCI les Ateliers: As part of a research theme, three student designers have joined students in biology, physics, chemistry and law to develop a project that might be better than a better mousetrap. AIGA Design for Democracy: In recent times designers are becoming increasingly eager to turn their ideals into local, tangible actions that can make a difference. Professional organization AIGA aims to make designers better citizens. 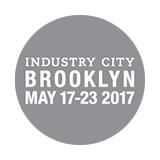 Industry City store opening: The store is also a place for pop-up events such as book signings, conversations, or food tastings, and more. “Design Takes Yes for an Answer” at BKLYN DESIGNS, an event showcasing a cross section of design, architecture and art. As one of the first design fairs to shine a spotlight on the borough’s creative economy, it serves as an incubator for emerging designers as well as a platform for established brands across furniture, lighting, tableware, art, textiles, and jewelry. 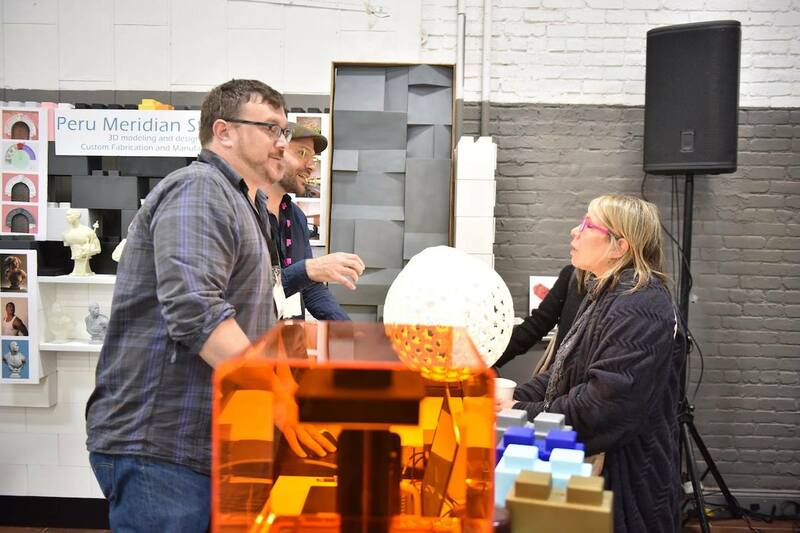 Expect collective exhibits, pop-up lounges, installations, hands-on demos and a diverse conference program in addition to an exciting array of products, plus cafes and bars from Brooklyn’s beloved vendors and family-friendly programming. If you’ve got kids, the cool kids’ furniture from casa kids is a must-see. Sonja Fries jewelry is as pretty as it is out-of-the-ordinary. Homeowners share their experiences of creating spaces that marry historic charm with modern style. See amazing before & afters and hear expert renovation advice in a panel moderated by Jean Brownhill, founder of free renovation matchmaker Sweeten. 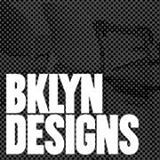 Brooklyn’s Emerging Architectural Scene: Josephine Minutillo, Features Editor at Architectural Record, sits down with SO-IL, nARCHITECTS, and Young & Ayata, three innovative architecture firms that are changing the Brooklyn landscape. In an event which grew from the popularity of their Noho Design District event, the curatorial masterminds at Sight Unseen get their razor sharp radar into high gear and focus as much on introducing the coolest corners of New York City as on the next biggest things in design. With a venue change this year to 100 Avenue of the Americas, Sight Unseen OFFSITE will showcase a curated selection of furniture and product launches by independent design and forward-thinking brands. If it’s not cool, it wouldn’t be here–but highlights include: Fernando Mastrangelo Studio, Jean-Pascal Gauthier, Grain and all the Norwegian goodies at Norway x New York. 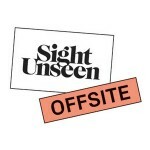 Sight Unseen Presents: From May 16 through May 23, Sight Unseen will also tuck design installations and events into a dozen New York shops and restaurants. Lest you think it’s just more marketing in some random Soho shops, think again. It’s a reason to check out a handpicked selection of some of the city’s coolest retail shops and restaurants, both old and newer, from Rachel Comey to Mission Chinese. This year Sight Unseen is helping to aim the spotlight on the burgeoning design hub centered around lower Soho’s Howard Street Design District. Expect cool design exhibitions and revelry late into the night at events nearby. Matter exhibits “Rest Stop” a curated interactive design lounge at Canal Street Market presented by Extell’s One Manhattan Square in conjunction with Sight Unseen Presents and NYCxDesign, highlighting the work of some of the most esteemed designers working today and featuring a wallpaper installation by Calico Wallpaper x Ana Kraš. Collective Design celebrates design from the 20th century to today with NYC’s most exciting voices as well as established and emerging galleries from across the world’s creative capitals, including Copenhagen, Milan, Paris, and Stockholm in a dramatic 60,000 square-foot industrial space in West Soho. The 2017 fair will showcase over two dozen galleries displaying limited-edition collectibles and more. Throughout the duration of the fair, designer-led tours will highlight the range of special installations and diversity of works presented, and there will be a series of Collective Conversations. Collective Concept, where noted designers take chances on works in new directions. Colony the Designers’ Co-op, part of Tribeca Night Co-hosted by David Weeks. These range from product launches, themed events, open studios and showrooms, in-store cocktail receptions, international and neighborhood collective efforts and more. FAD Market offers their 2017 spring market series at the Brooklyn Historical Society from May 13-14, from 11am – 6pm. Odd Experiments at Cooler Gallery: An exhibition of work by furniture designers who are challenged to ignore practicality. Midcentury French Design at Demisch Danant. “Innovation: Made in France II” features works from 1965 to 1975, a robust era for French design and technology..
Tribeca design district: Galleries and showrooms, including Colony, David Weeks Studio and Stillfried Wien, will stay open late and may even give parties. 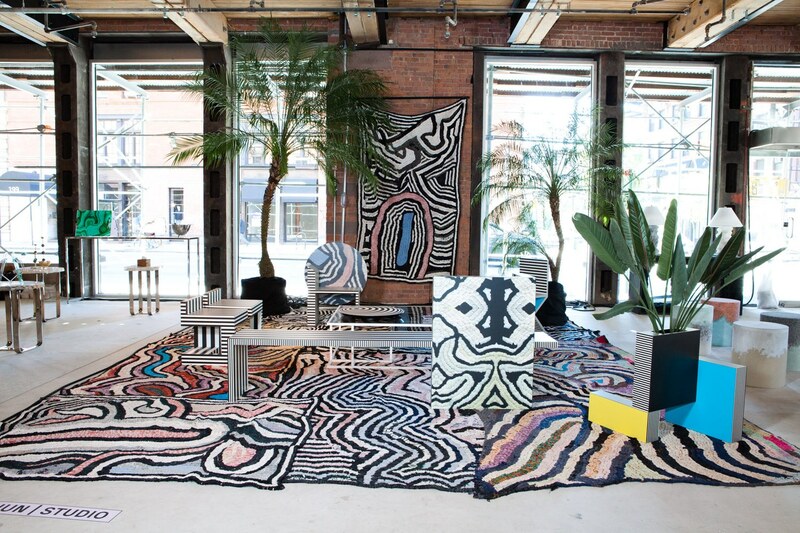 Soho Design district: (highlights: Cappelini, Boffi, Cassina, Clever Podcast at Sonos , Rachel Comey x Areaware ); May 22 is the big open store evening. Many of the city’s art and design museums, design schools, civic and community organizations get into the act with tours, workshops, showcases and much more. Women in design: The women of EGG COLLECTIVE have come together with their top female peers to host a benefit exhibition to celebrating the NYC’s leading female artists and designers. Van Alen Institute Spring Festival: The ne plus ultra in urbanism. Events offer rare scholarly insights on this year’s “Arteries: NYC in Circulation” theme with a design book party, a close look at Gowanus, a new slant on rezoning and much more. Sightlines: SVA Research Symposium and launch party. Trends, analyzed, including the new phenomenon of fashion influencers determining fashion cycles, why car design is dead and more. Surface magazine presents Design Dialogues No. 35: with Jeanne Gang and Sarah Williams Goldhagen; plus: drinks and snacks at the Tribeca Roxy Hotel Oyster Bar. Deputy Mayor Dialogue: New York and London. At the Center for Architecture, Alicia Glen, New York City’s deputy mayor for housing and urban development, and Jules Pipe, London’s deputy mayor for planning, regeneration and skills, discuss the future of both cities in an age of explosive growth. Just how geeky are you about maps? 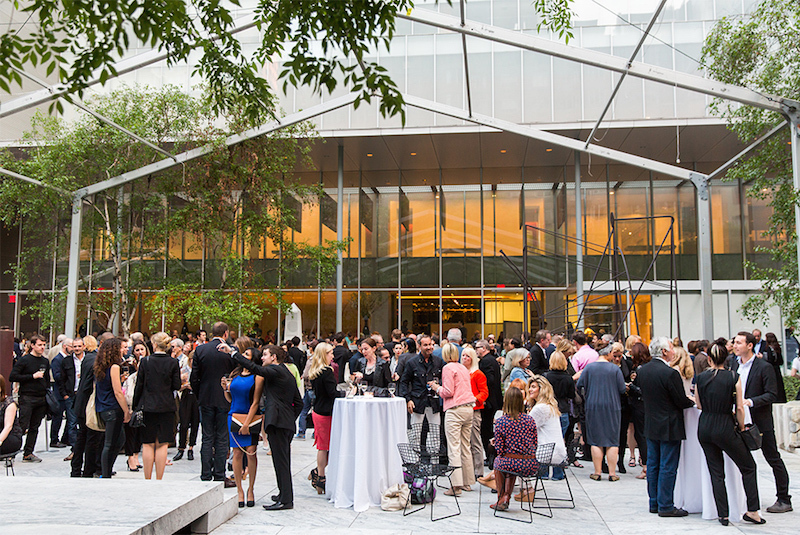 ICFF Opening Party at MoMA. There’s always a party somewhere, from free-and-public to invite-only to big-ticket galas; here’s a sampling of a few notable meet/greet/booze/schmooze events. Fun party alert: This dartboard design challenge from Frog Design involves dartboards, an open bar and a benefit for homeless youth. What could possibly go wrong?